The Overview: Private Investigator Nikki James grew up on the tough streets of Lyndhurst and believes there’s nothing left to surprise her. All that changes the night she follows teenager Monica Trevgard into the shadows-and becomes a pawn caught in a war between two very different men. One fills her mind with his madness, the other pushes his way into her life-and her heart. Nikki knows how dangerous love can be, but if she wants to survive, she must place her trust in a man who could easily destroy her. I’ve had a lot of turmoil trying to figure out how to review this book. I am a huge fan of Keri Arthur and for the longest time ranked her Riley Jensen series as my all-time favorite. 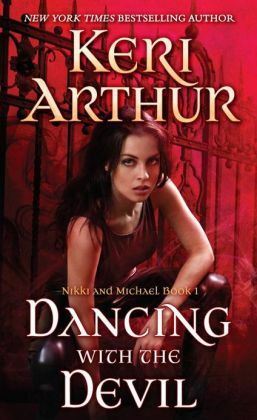 I have been looking forward to the U.S. release of the Nikki and Michael series for at least a year… But I was disappointed, and I hate it when that happens. First of all, I’m pretty sure the publishers are marketing this series as an urban fantasy. For me, everything from the outline to the heavy focus on characterization made it read more like a paranormal romance. The plot was incredibly straightforward with no elements of complexity or even mystery that she does so well in her urban fantasies. I’m sure the marketing strategy was to keep all of Arthur’s books in the same area, but I think this is a book better suited to the romance crowd. I had a lot of issues with it, and I can’t help but think that was because I was holding it to the standard of other urban fantasies I’ve read (specifically Arthur’s). I wonder if I’d picked it up knowing it was a paranormal romance if I would’ve liked it better. Oddly, for a book I’ve just labeled highly character-driven, it didn’t have very rich characters. Their thoughts and dialogue were pretty generic – the only thing that helped define them was the occasional motive revealed through the book’s extensive inner reflection. Even then, they contradicted themselves often with their actions. I thought the side character Jake, Nikki’s boss, was the most interesting person in the story. We didn’t have any inner dialogue with him, but instead got to know him through his actions and mannerisms – which I think is a far stronger way to develop character. There was also a great deal of redundant “discoveries” taking place. The bulk of the story revolved around a conflict the audience was already aware of from reading the back of the book: the fact that Michael is a vampire. Nikki, having supernatural abilities of her own and facing down zombies within the first chapter, spent a lot of pages learning about vampires and coming to grips with their existence. That’s the sort of thing that’s usually a given if there’s already supernatural in a story. Instead, it was one of the major conflicts of the book. I thought the basic writing was good, nowhere near the quality that she’s producing now, but good. There was an awful lot of “telling” rather than “showing” where the author chose to skip full-blown action scenes in favor of having the character reflect on it in the aftermath. She did, however, use an interesting technique to keep from revealing secrets too early in the plot: she switched POVs any time the subject was about to be brought up – thereby extending the suspense and intrigue. Overall, for a paranormal romance, it fit the bill perfectly, but as an urban fantasy, it left a few things to be desired. I am a huge Keri Arthur fan – her Riley Jensen and Dark Angel series are definitely in my top ten urban fantasies of all-time and I recommend them to people constantly. I am truly bummed that this one didn’t work for me. They were written quite a while ago, though, so I’m just going to chalk it up as a stepping stone this author needed to get to where she is today. It was still a decent book, I just had incredibly high expectations, and that’s never a good start. Recommendations: I started out this post with a big old rant on the difference between paranormal romances and urban fantasies. I decided to spare you and deleted the whole thing but I definitely feel there is a different type of customer for each genre. 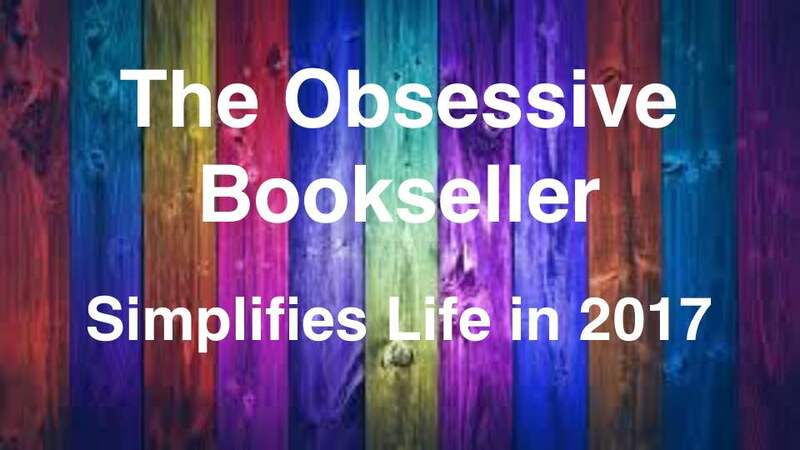 I would only hand this to someone who has read and liked any of the books listed below… (I didn’t care much for those, either, but I know a lot of people did).